As we prepare to open Master Class in the Daniels Pavillion at The Philharmonic Center for the Arts, we turn our focus to former opera diva Maria Callas. This play takes inspiration from Callas’ life, and is set after Callas has lost her voice and has taken to teaching master classes at Juilliard. 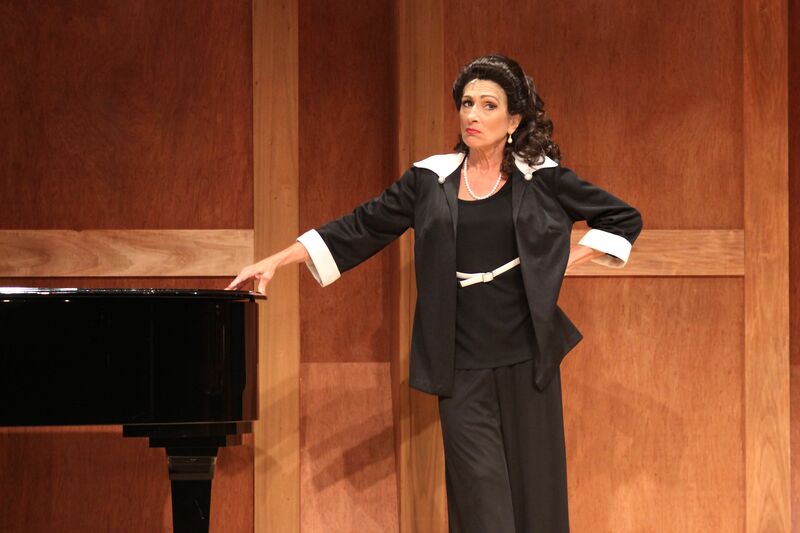 Throughout this Tony Award-winning play by Terrance McNally, Callas works with her opera students to give the performances of their lives while reminiscing about her life experiences and career. Callas was an American-born Greek Soprano. Christened as Anna Maria Sofia Cecilia Kalogeropoulou, her parents shortened their last name to Callas when Maria was a child. While Maria was born and raised in New York City, her parents separated when she was in her teens and Maria moved to Athens with her mother and sister. Maria’s mother pressed her to sing from a very young age, but favored her slimmer and beautiful elder sister. Maria began her formal vocal training at the Greek National Conservatoire under the coaching of Maria Trivella and later went on to study under well-known Spanish singer Elvira de Hidalgo at the Athens Conservatoire. After making several appearances as a student, Callas made her professional debut in 1942 playing the small roll of Beatrice in Franz von Suppe’s Boccaccio with the Greek National Opera. Following the end of World War II, Maria’s career in Italy began at the Arena di Verona in La Gioconda. 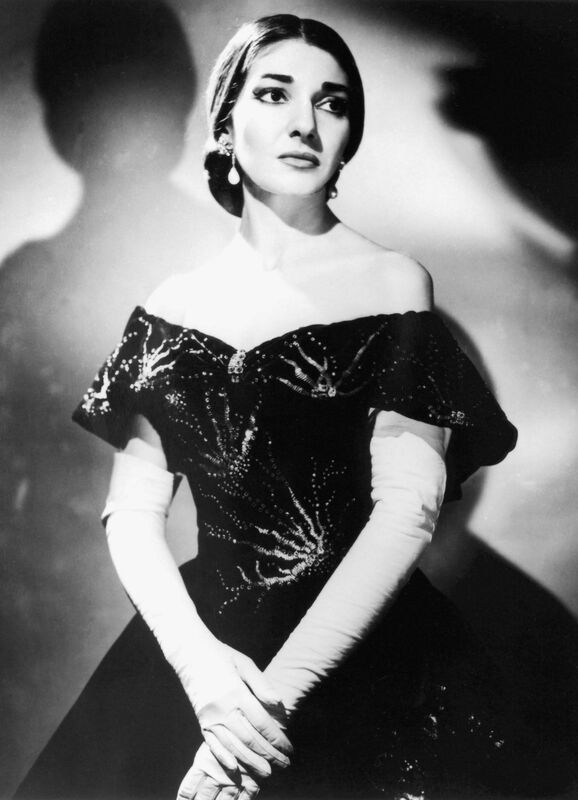 Over the next few years Callas sang in all of the major theatres in Italy, making her debut at the prestigious La Scala in Verdi’s I vespri siciliani on December 7, 1951. Callas then went on to sing all around the world, making debuts in Buenos Aires, Chicago, and London. Throughout Callas’ career, her life off stage became just as infamous as her performances on stage. Early in her career she married a wealthy industrialist by the name of Giovanni Meneghini, who assumed control of her career. It was rumored that Maria and Renata Tebaldi, an Italian lyrico soprano, had developed a bitter rivalry. Both women were quoted in the media insulting the other in the mid 1950’s. Around this time, Callas lost a significant amount of weight. Early in her career, she was criticized for being heavy, but following an 80 pound weight loss she was called “stunning” and “beautiful,” although many attributed this sudden weight loss as a reason for her vocal decline late in her career. Callas also received media attention when she began an affair with Greek shipping magnate Aristotle Onassis, and later left Meneghini and her singing career behind. In 1971-1972, Maria Callas began teaching master classes at Juilliard, which is the inspiration for Terrance McNally’s Master Class. The play has given many legends in their own respect the opportunity to play the opera diva, including Tony Award winners Patti LuPone and Tyne Daly. See here for photos of many of the women who have taken on the challenge of playing Maria Callas, and a few of Callas herself! We are thrilled to be able to add Marina Re (pictured above) to the list of women who have taken this role on, and we hope to see you at The Phil for this wonderful play!